Insurance Company Managed Vendor Programs - Good or Bad? Insurance Company Managed Vendor Programs may seem very convenient, but how do they impact the policyholder and the existing relationship they have with their Insurance Agent? Most of the Insurance Agents we speak with tend to agree that the level of service from Insurance Companies has decreased drastically over the last decade. They see this problem in their direct dealings with the Insurance Company whether it be billing, underwriting, claims, etc. The Insurance Agency's customers see this poor service most frequently at the time they need help the most, during a claim. The purpose of this article is to explore the use of "Managed Vendor Programs" by the Insurance Industry and the negative effect this trend has on Claims Service. Most Insurance Agents appear to be unapprised of the trend for more and more Insurance Companies to use "Managed Vendor Programs" to handle claims in today's changing Insurance environment. From the discussions we have with Insurance Agents, it would appear that most Insurance Companies prefer not to communicate these changes in Claims Handling with their agency force. As a result, we find that most Insurance agents have never heard of programs such as Contractor Connection, Symbility, Code Blue, BrightServ, Alacrity, etc. As a result, many Insurance agents remain ill-informed when it comes to the levels of claims service being rendered to their customers and the potential for this service to continue to decrease in the future as Managed Vendor Programs continue to proliferate and gain acceptance in the Industry. Before we get into the negative effects elicited by Managed Vendor Programs, we should explain what a Managed Vendor Program consists of and how they operate. First most of these programs are not part of the Insurance Company nor are they managed by the Insurance Company. Rather these are standalone separate companies that make their income selecting and managing a list of vendors available to service the Insurance Claims of their policyholders. Any vendor that wishes to be referred by the Insurance Company must first become a member of the Managed Vendor Program. This membership involves hefty fees paid by the vendor to the program. 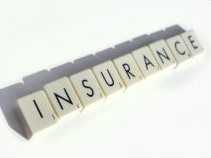 Acceptance of the vendor is based on the current needs of the Insurance Company and the ability of the vendor to agree to the terms and conditions of the program. Once a claim is reported to the Insurance Company's 800 reporting number, the claim is then communicated to the Managed Vendor Program who then selects and assigns a vendor to the claim. Assignments are made to vendors based on the location of the claim and on a continuous rotation basis. Your customer's claim is then managed by a phone representative of the Managed Vendor Program, often with little input from an actual Claims Adjuster. Sounds like an efficient and excellent system, right? It certainly makes things simpler for the Insurance Company. Then why isn't it working? Why isn't this new system improving claims handling service? We believe there are numerous reasons but will only look at a one here. First, Managed Vendor Programs do not necessarily select the "best" or "most qualified" vendor to service the claims needs of your customers. Actually, the opposite is generally true. Upon approval into the Managed Vendor Program, the vendor is required to adhere to the pricing selected by that specific program. This pricing is either maintained at levels which are consistent with the market in the area or, often, somewhat under competitive market pricing. As I am sure everyone can understand, your better or best vendors have higher operational expenses associated to providing this better service and typically command higher prices as a result. These quality vendors typically have plenty of work and do not have a need to cut their prices to become part of a vendor program. But it is not just the vendor pricing that needs to be considered? Who pays for the Managed Vendor Program and what does it cost? It may surprise you to know that it is not the Insurance Company that pays for this service. Rather indirectly it is your customer who ends up footing the bill. The Managed Vendor Program typically takes up to a 5% commission from any claim payment made to the vendor. So arguably your customer pays for this vendor program out of the money that normally would be used to pay their claim. From the vendor's standpoint that is an additional 5% reduction to the overall amount they will receive for handling the work associated to the claim. When you take into consideration this commission together with the requirement that approved vendors must also agree to lower vendor pricing, it should be no mystery why these programs do not attract the best and most qualified vendors. These programs are geared to attract the "cheapest" not the "best qualified". At Disaster Blaster, we are proud of the fact that most of our work comes from local referrals from Insurance Agents and prior customers, not from Managed Vendor Programs. We recognize that most Insurance Companies want the Agent to stay out of the claims handling and we appreciate the risk and trust that Insurance Agents take when they regularly refer us to their customers. Despite Insurance Company edicts to the contrary, we see many Insurance Agents growing their businesses by distinguishing themselves as the agent that is there when their customers need them the most; during the Claims Handling Process. Learn more. Enrol in our upcoming Pennsylvania Insurance Agent Continuing Education Class entitled "Using The Insurance Claim Process To Your Advantage" (5 CE Credits). This course will go into much greater detail on this issue and other issues facing Insurance Agents today.